Office Team and Support staff are efficient and caring.Dr. 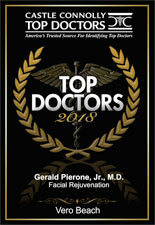 Pierone is careful to address my concerns and persistent in getting me to comply with his comprehensive treatment plan. VERY THOROUGH !! !I would highly recommend this physician.